A C5 herniated disc can be painful, presenting with neurological symptoms such as numbness and weakness in the upper extremities, neck stiffness and pain. The cause of the symptoms is pressure exerted on nerves by the bulging disc. 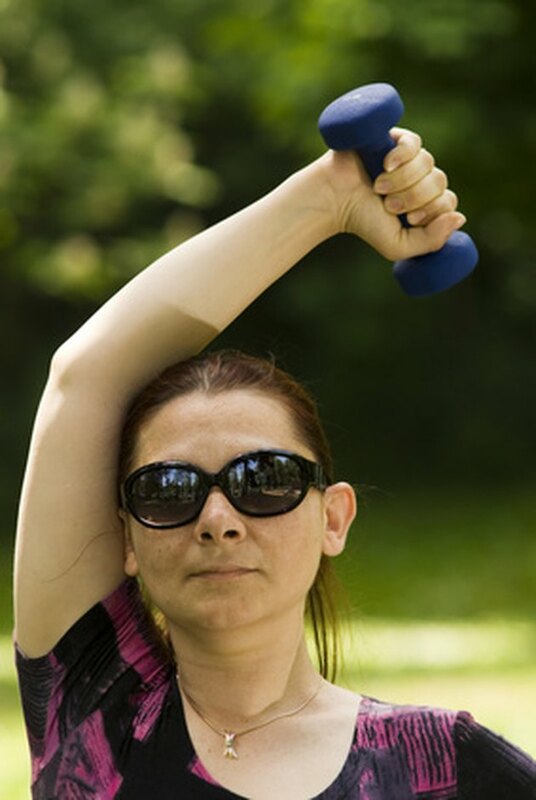 Exercise can aggravate the pain and cause other more severe issues if not done correctly. In addition, talk to your doctor before starting any exercise program when you have a bulging disc. Flexibility is important when suffering from a bulging disc. Stretching increases flexibility allowing the movement of the affected disc. To perform stretching exercises for the neck, start in a sitting position. Slowly lower your chin toward your chest until you feel a stretch in the back of your neck, after your head goes as far as it can on its own, place your hand on the back of your head and gently push forward causing the muscles to stretch more. Hold for a few seconds and repeat. Return to the starting position; slowly tilt your head back as far as possible. You should feel a slight stretch in the front neck muscles. From that position slowly roll your head around while relaxing, allowing your neck muscles to stretch. Repeat three times. With your head back in the upright position, slowly lower your head toward your shoulder as far as it will go. When your head goes as far as it can on its own, take your hand and gently pull your head closer to your shoulder, causing a mild stretching sensation in your neck muscles. Hold for a few seconds and repeat on other side. Do this three times on each side. Stop the stretch if you experience any severe pain or pain down your arms. Isometric exercises allow strengthening of the muscles without changing the length of the muscle during the exercise. They are an effective method to exercise muscles around a bulging disc. Physical therapy for cervical bulging discs includes isometric neck exercises. Perform isometric neck exercises by moving your head against stationary resistance. To exercise the neck muscles, from a sitting position lower your chin toward your chest, place your hand on the back of your head, push forward with your hand while pushing against it with your head. Repeat this three times. Then repeat the exercise pushing forward with your head while exerting pressure on your forehead. Do this same maneuver on each side, moving first to one shoulder and then the other. Therapy balls help to hydrate the disc by using a pumping action. According to Health Guidance, to use a therapy ball, simply sit on the ball and gently bounce. This action “pumps” the discs in the spine allowing fluids to enter the spongelike tissue of the disc.